Looking for Divi restaurant layout? Check out Divi Chef, a Divi child theme for restaurants, cafe, bakeries, pizzas shops and similar businesses. 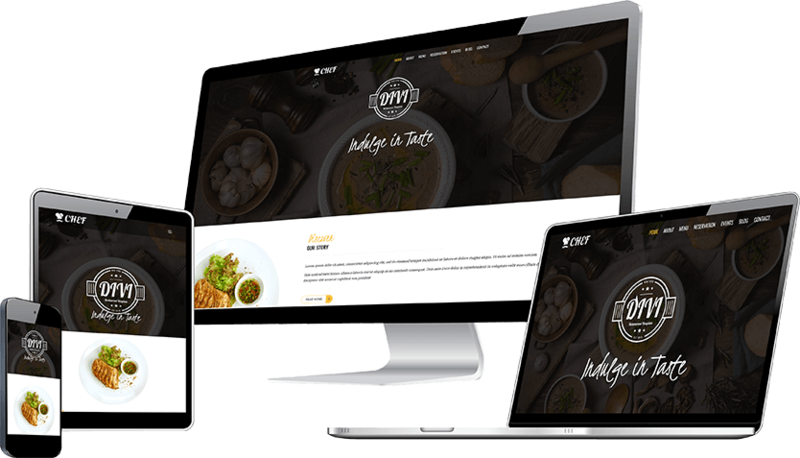 Divi Chef child theme has 7 very beautifully designed Divi restaurant layout pages. There are 2 custom post type for Divi restaurant menu and events. These custom post types which are part of Divi chef child theme can be used to create and display menu and events very easily without depending on additional plugin. This Divi restaurant child theme has 3 built-in modules to display menu items and events. There are 3 modules in this Restaurant child theme. First Divi restaurant menu module is for displaying all menu items. Second module is for displaying a filterable Divi restaurant menu. Third module is an event based module which displays list of upcoming events. Already purchased the Divi Chef and need assistance with it? We have some frequently asked questions available listed for this. You can also send us an email using the support link.